Since 1934, the annual Conference on Glass Problems has addressed the challenges facing the glass industry with innovative solutions that have led to new and enhanced glass products and processes. Each year, the proceedings from this conference, which has become the largest industrial glass meeting in the United States, have been published for the benefit of glass, ceramics, and materials scientists and engineers around the world. References at the end of each paper enable readers to explore individual topics in greater depth. 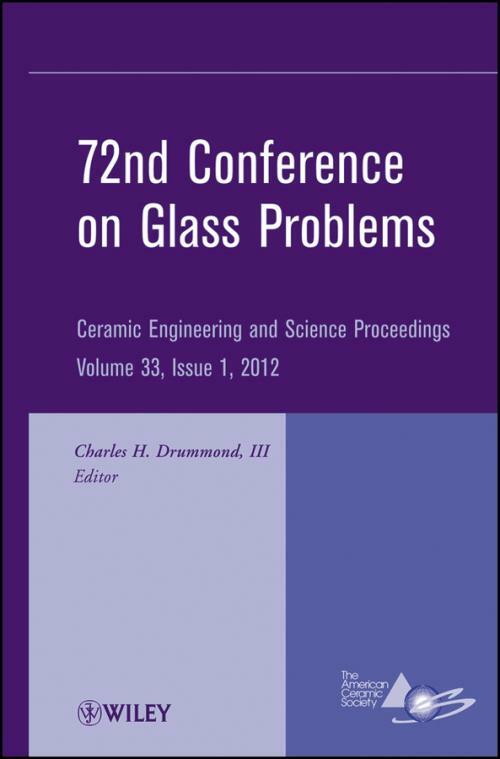 The 72nd Conference on Glass Problems is essential reading for all scientists and engineers who need to stay abreast of the latest research in the field. All readers will find valuable information that enables the glass industry to continue to innovate with new and improved glass products and processes to meet the needs of both industrial and general consumers. Cord Testing using Thermal Shock: Virtue or Vice? 221Gary L. Smay and Henry M. Dimmick, Jr.